Female fronted Miami extreme metal band Wykked Wytch is streaming it's new song "Despised Existence" over at this location. This track will be on Wykked Wytch's new one, "The Ultimate Deception," which is scheduled for release on February 14th via Goomba Music. 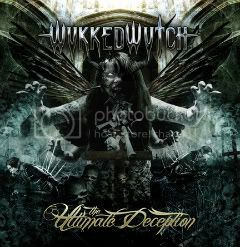 This marks the fifth album for Wykked Wytch and sees the addition of lead guitarist/songwriter Nate Poulson to the group. 0 Comments on "Wykked Wytch Streams New Song"